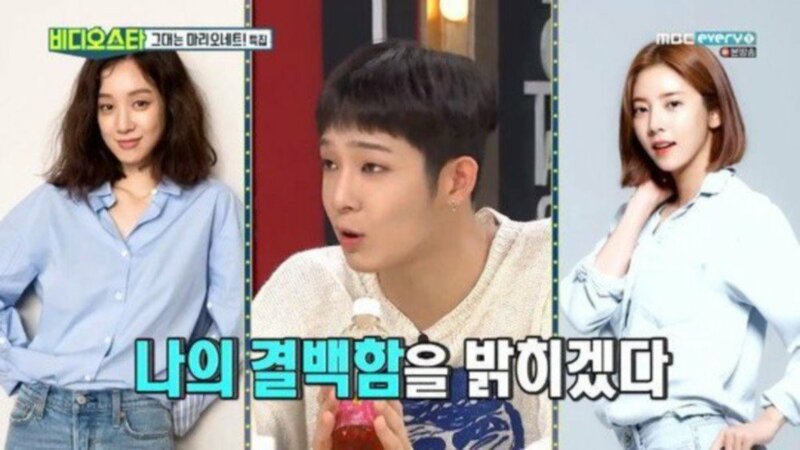 Nam Tae Hyun explained his dating rumors with Jung Ryeo Won and Son Dam Bi�on the June 19th installment of 'Video Star'. The South Club�vocalist expressed, "This is something I really want to say clearly. Those two are just close noonas to me," referring to Jung Ryeo Won and Son Dam Bi. He continued, "We got close because Jung Ryeo Won noona does art, and I do too. I got to visit her art studio through a mutual acquaintance." As for his supposed skinship�with Son Dam Bi, Nam Tae Hyun said, "I think I would think other people were dating if they did the same thing as well, but we're not. They simply think of me as a comfortable person. I'm the kind of person who talks with women more than I fit in with men." He added,�"Son Dam Bi's older than I am. Dam Bi noona gives me relationship advice and treats me like a younger brother. She's not my style either." Son Dam Bi then said in a phone call to 'Video Star', "Who are you to deny it? You're not my style either. We're no more than drinking buddies."